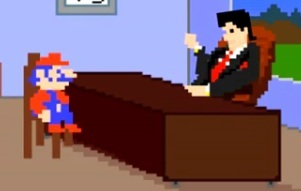 The folks over at Dorkly have brought us another hilarious video featuring Nintendo’s mascot: Mario(a.k.a. Jumpman). Ever wondered what triggered the changes from Donkey Kong to the Mario games? The name change, change in women, big boss change? This video contain’s Dorkly’s answers to these questions and more! Take a look at the meeting.